Ingrid Michaelson is an American singer and songwriter known for her chartbusting singles such as “The Way I Am” and “Girls Chase Boys.” She released her debut album “Slow the Rain” in 2005. She briefly played the role of Sonya Rostova in the Broadway production of Natasha, Pierre, and the Great Comet of 1812. Ingrid Michaelson was born on 8 December 1979, in Staten Island, New York, U.S.
She’s currently 39 years old. She is of Dutch ancestry on her mother’s side. She attended Staten Island Technical High School and later enrolled at the Binghamton University, where she graduated with a degree in theater.During her college years, she was a member of the Binghamtonics, a co-ed a cappella group, as well as the Pappy Parker Players, an improv comedy group, and the theatre repertory company under Sue Peters. Michaelson married musician Greg Laswell in 2011. The couple divorced in 2015. Thereafter, she has been in relationship with film and stage actor Will Chase. Ingrid Michaelson released her debut album title ‘Slow the Rain’ on 10 January 2005. She has since then released six albums in total – ‘Girls and Boys’, ‘Be OK’, ‘Everybody’, ‘Human Again’, ‘Lights Out’, and ‘It Doesn’t Have to Make Sense’. Ingrid made her feature film acting debut in the film ‘Humor Me’, written and directed by Sam Hoffman in 2018. She played the role of Allison and also stars Jemaine Clement and Elliott Gould in the lead roles. Her music had featured in over a dozen films. Ingrid has appeared in many popular TV shows including Pretty Little Liars, Grey’s Anatomy, One Tree Hill, The Vampire Diaries, and Army Wives. Known for her singles, “The Way I Am” and “Girls Chase Boys” which peaked at No. 37 and No. 52 on the Billboard Hot 100, respectively. Both singles were certified Platinum by RIAA. Her popular singles include “Be OK” and “Maybe”. She has an estimated net worth of $2 million US dollars. She took piano lessons at the age of 4 at Manhattan’s Third Street Music School and the Jewish Community Center of Staten Island’s Dorothy Delson Kuhn Music Institute. 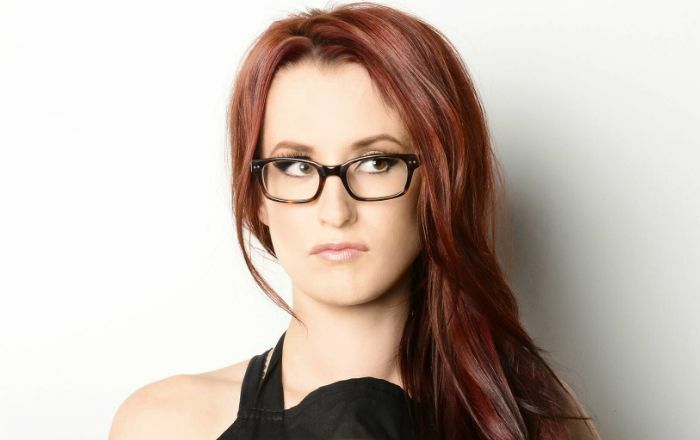 Ingrid Michaelson proclaims herself as a feminist. She has provided back-up vocals for several songs including “I’m a Pirate, You’re a Princess” “Take Everything,” “My Fight (For You),” and “Come Clean,” to name a few. Ingrid has appeared on The Nerdist Podcast with Chris Hardwick. She released a 5 track EP titled “Alter Egos” on 12 May 2017. It consists of re-worked songs from “It Doesn’t Have To Make Sense” with guest vocalists on each track. In January 2018, she announced her new project, Stranger Songs, which will include songs inspired from the Netflix series, Stranger Things.